The Dell Dardanup has been in the same family for 135 years. The homestead is perfect for groups of up to ten people and is perfectly situated to explore the surrounding South West region. Located on 52 hectares of farmland just out of Dardanup near the regional city of Bunbury. 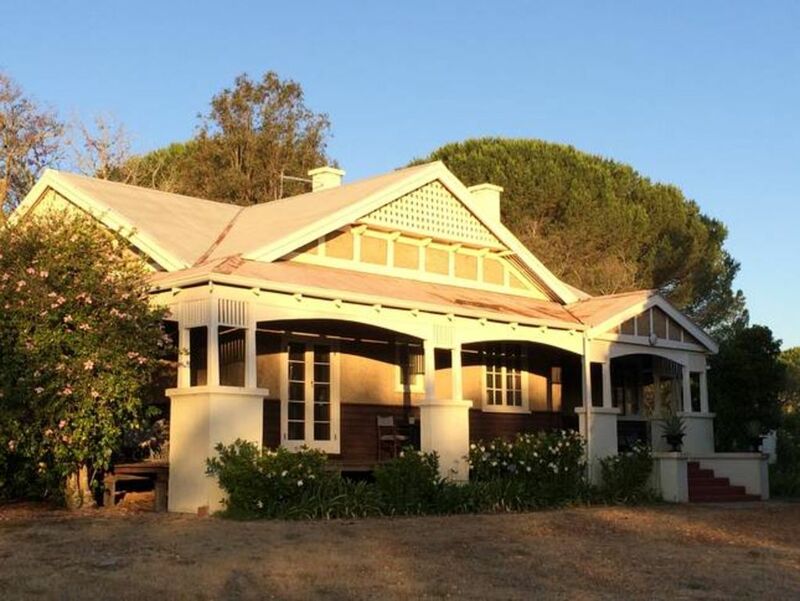 The five bedroom homestead with wrap around verandas was built in 1922 and heavily influenced by the Arts & Crafts Movement which is evident in the decorative jarrah woodwork. French doors lead onto wide verandas perfect for spying kangaroos or sipping a tall drink at dusk. It is a wonderful house for groups of people, with five double bedrooms. The house is furnished with a collection of family heirlooms original to the home as well as second hand op shop and vintage finds. The beds are dressed with a selection of beautiful bed linen and towels are also provided. The second bathroom is located across the courtyard, offering a truly Australian experience. We had a great stay, the house is wonderful and the location is magnificent. Great for large families as there is lots of space inside and out. We were all very comfortable and will stay again. This was my third visit since 2001 we all decided this time not to leave it so long between visits and booked again for September. We all just loved the open fire and the well equipped kitchen. Just a relaxing stunning property.